A new poll from Pew Research found only 15 percent of white people say their race is either "extremely important or very important to how they think about themselves" while solid majorities of every other race feel just the opposite. 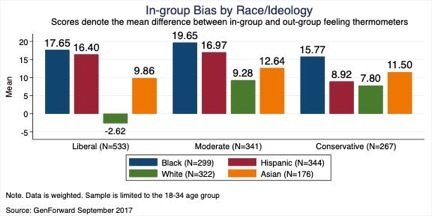 Despite being the least focused on race, the poll found 45 percent of white people said that people have "assumed they were racist or prejudiced" because of their race or ethnicity, which is nearly double all other racial/ethnic groups. 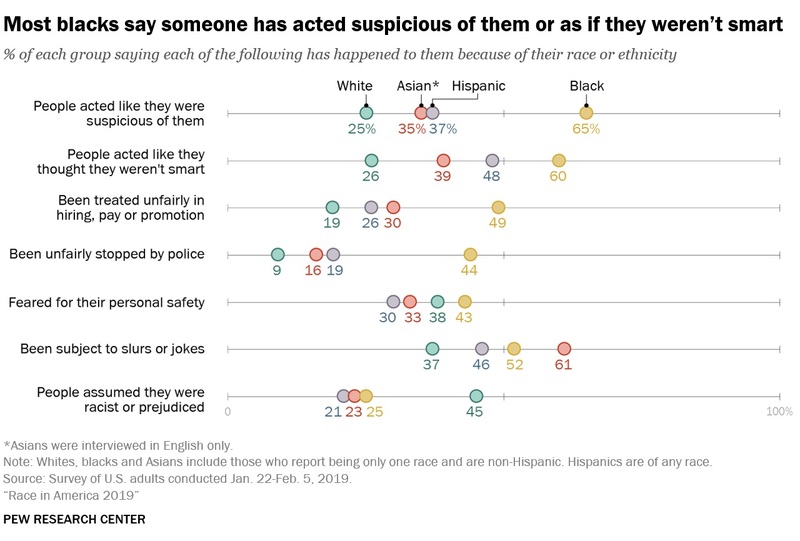 The poll also found 38 percent of white people said they've "feared for their personal safety" because of their race or ethnicity versus 43 percent of blacks, 33 percent of Asians and 30 percent of Hispanics. 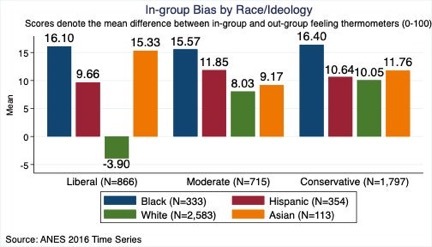 [...] Out-group bias is not shared by liberal Asians, Latinos or African Americans, all of whom have more typical in-group preferences.